Do you want to learn how to manifest astonishing abilities and use them to be expert in either physical skills or spiritual capacity? Did you know there are many different kinds of energy? Do you know the difference? Do you know that some are good for physical fighting and others are more for healing? Would you like to know the best place to start? Here’s a glimpse of what you’ll learn in this incredible collection of “Master Level” of instruction. Mind Force Meditation— The most simple and easiest guide to meditation you’ll ever find. I remove all the nonsense and leave you with the good stuff. Mind Force Psychic Energy— By far some of the most powerful techniques ever unleashed. Become a catalyst of esoteric methods with this blueprint. Originally sold for $100 when first released. Mind Force Attraction— The Magneto Method is simple and to the point on how to set up an attraction mechanism for your life. Money, Luck, Relationships, Jobs, you name it, you can get it. Taken from my very own notes that I used for years to persuade and influence using powerful hypnotic suggestions. The Closed Door Self Hypnosis Files– Super powerful methods of self induction to create the life you want in all aspects of manifestation. The 12 Devices That Almost Instantly Hypnotize– You won’t find this training anywhere and yet is some of the most simple yet profound hypnotic training you’ll ever experience. Some of these methods when combined with “Advanced Qi Training” is like having an atomic bomb! 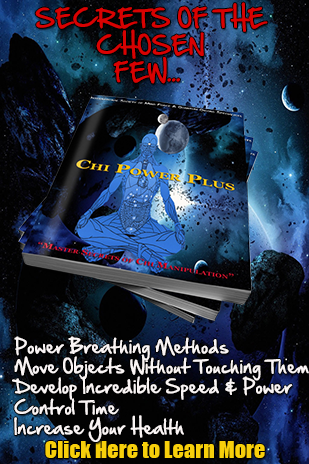 The Chi Power Blueprint– More than 15 different methods of chi manipulation are taught in this simple yet powerful guide that has stood the test of time. Learn how to “Master The Power”. The Master Secrets of Qigong– Little known concepts that only the most advanced of practitioners study to get to the higher levels. Dim Mak Striking– Fact or fiction, Dim Mak is one of the most talked about subjects in the martial arts and yet very few know it’s true power. Learn secrets that even the most advanced martial artists don’t even know. Pressure Points for Healing– The same points that can hurt can heal and that’s what you learn in this simple guide to healing with acupressure points. Come with full acupressure points posters. The Secrets of Self Defense– Common sense tactics and strategies to use for urban combat. Self defense is simple if you have a plan and then put in the execution to make that plan work in the real world. And you can get all of this at more than 40% savings from our regularly discounted price and OVER 75% savings off the retail price that you’d pay on Amazon and other online booksellers. Keep in mind that I celebrate my 28th anniversary this weekend and that’s why I’m offering this deal right now.